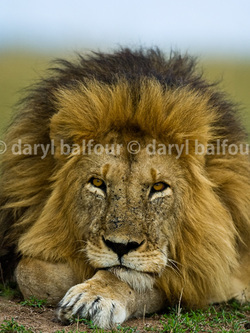 Wildphotos Safaris is Daryl & Sharna Balfour, two of Africa’s leading and most experienced wildlife photographers & authors over the past three decades. Daryl & Sharna were both born and raised in Africa, and have been full-time in the field of wildlife safaris and photography since 1986. Daryl in fact guided his first African safari in the early 1970s, while his very first wildlife experience was as an 8-year-old, on foot and in the company of the legendary conservationist and founder of the Wilderness Leadership School, the late Dr Ian Player, a close family friend. · Why travel to Africa and be guided by someone who was not born and raised here? All Wildphotos Safaris itineraries are guided by experts with a lifetime of experience in the field, who speak the local languages and can communicate your needs to the local people in their own language. Contact us now if you are interested in this unique private small-group safari to one of the most spectacular destinations on earth, Chile's Torres del Paine National Park. This safari is being scheduled to run immediately after our special Wild Jaguars of the Pantanal safari from October 11-22 and we will be traveling directly from Sáo Paulo, Brazil to Santiago, Chile after completing our jaguar trip. You can do one or both of these safaris but we thought that for those traveling a long distance to South America combining both might be a great option. The Jaguars safari runs Oct 11-22 (11 nights with 10 full days on the river) and the Pumas safari will follow from Oct 23-31 (from Santiago, Chile) with six days tracking wild pumas (most of our photography will be on foot with these elusive big cats) and two or three photographing the incredible landscapes of the Torres del Paine National Park, one of the most spectacular landscape photo destinations on the planet. WE EXPECT THIS TOUR TO FILL UP FAST SO CONTACT US HERE NOW TO PUT YOUR NAME ON THE LIST OF THOSE INTERESTED IN JOINING US! ALSO IN THE PLANNING STAGES - CONTACT US TO EXPRESS INTEREST! After two private visits to India in 2016 and 2017 Sharna & I now believe we have the hang of what is required to create a truly special wildlife and cultural tour of this fascinating country. These tours will be private small-group excursions for a maximum of four guests. From Delhi, with a visit to the spectacular Taj Mahal. We already do have a number of guests interested in these tours so please let us know by clicking HERE if you wish to receive further information. Not for the faint hearted...this is an expedition style safari in extreme conditions...but offering the opportunity to see & photograph the rare & elusive snow leopard plus the spectacular mountain ranges & peaks of the Karakoram Mountains to the north and the Himalayas to the south! Apart from the Set Departures listed on these pages, Daryl Balfour & Wildphotos Safaris specializes in arranging, hosting and guiding special private itineraries customized for smaller groups or families, throughout Africa. Please contact us directly HERE if you would like to discuss a special safari - we can offer advice & insights gained over more than 30 years in the safari industry and photographing wildlife throughout the world. ​WHILE OUR SAFARIS ARE DESIGNED TO GIVE KEEN PHOTOGRAPHERS EVERY OPPORTUNITY TO MAKE BETTER IMAGES AND LEARN FROM THE EXPERIENCE OF DARYL & SHARNA BALFOUR, THESE TRIPS ARE NOT EXCLUSIVELY FOR THOSE WITH HUGE LENSES AND PROFESSIONAL CAMERAS, etc. WHAT OUR SAFARIS DO THOUGH IS OFFER GUESTS QUALITY TIME WITH THE BIRDS & ANIMALS, TIME TO STUDY BEHAVIOUR, LEARN MORE, AND, YES, GET GREAT PHOTOS, EVEN IF YOU ARE ARMED WITH ONLY A POINT & SHOOT CAMERA OR iPHONE! WINE & WILDLIFE SAFARIS - inquire about our WINE & WILDEBEEST MIGRATION SAFARIS! Join acclaimed elephant author and photographer Daryl Balfour (African Elephants – A Celebration of Majesty) on a safari taking in the very best elephant viewing areas in Kenya in January/February 2019 (dates to be finalised according to availability & preferences). The safari, which will specifically be about elephants, photographing elephants, seeing elephants, tracking elephants and everything you ever wanted to know about elephants, visits three of the continent’s best areas for seeing and experiencing truly wild elephants. (Of course, we will see other wildlife on this safari too!) We will spend quality time with scientists active in the field of elephant research while optimising our opportunities to see and photograph elephants in the remote and scenic northern sector of Samburu National Reserve, the wild corners of Tsavo East National Park and the spectacular Amboseli National Park, where we will hope to encounter elephants on the open plains beneath the stunning backdrop of the snow-capped Mount Kilimanjaro. The snows and glaciers of Kilimanjaro are disappearing at a rapid rate, so this is a scene that is unlikely to be around for many more years, but the timing of our safari in late February or early March offers a good chance of snow on the peaks…with countless elephants on the plains below! If time allows we will also arrange a special visit to the elephant orphanage where Dame Daphne Sheldrick has done such remarkable work with baby elephants orphaned by poachers, and attempt to find some of the young elephants she has returned to the wild in Tsavo East. Join Daryl & Sharna Balfour at a unique tiger sanctuary in South Africa where you will have unheard of opportunities for seeing and photographing Asian tigers living in the wild. Tiger Canyons is not currently a “tourist destination” in the true sense of the word. Rather it is a working experiment in saving tigers to which you are invited along with Daryl & Sharna Balfour on an informal safari where you will be virtually guaranteed tiger sightings and opportunities to photograph tigers unlike anywhere else on earth. The tigers roam free in spectacular Karoo landscapes with everything a tiger needs – dense reed beds, freshwater pools for bathing and swimming, stark rock outcrops that make stunning photo settings, and open grasslands where prey such as eland, wildebeest, zebra, springbok, blesbuck, red hartebeest, mountain reedbuck and steenbok graze…and tigers hunt! Our tiger safaris are informal and simply structured. We stay either in the magnificent new Tigress Julie lodge on the brim of the eponymous Tiger Canyon, or if you are on a lower budget, in restored historical cottages in the nearby village of Philippolis where we can cater for ourselves or eat in the one and only dining option in town. However by prior arrangement we can take our meals privately with John Varty at Tiger Canyons where you will be able to enjoy one-on-one chats about this visionary project, and about his passion for the big cats. All these safaris are customized according to your needs, and start either from Johannesburg or Bloemfontein, though private charter flights can land in Philippolis, weather permitting. We offer safaris to Tiger Canyons in close co-operation with John Varty and make sure that he will be on site to entertain and educate our guests about his goals and ambitions in tiger conservation. There is some fossil evidence that tigers in fact could once have roamed Africa…and it is indisputable that lions, leopards and cheetah lived alongside tigers in Asia. Sadly the Asian lions are almost extinct, and cheetah have recently been reintroduced after becoming extinct there in recent years. Our safaris can be tailored to suit your needs and aspirations and are usually best done as an add-on to another southern African safari. We can specifically recommend a combined Big Cats safari utilizing Londolozi Game Reserve, world famous for its superb leopard viewing and great lion sightings. Guests can quite conceivably be photographing lions and leopards in the morning and be sitting with tigers that afternoon! Daryl & Sharna Balfour invite you to join them in one of their most popular departures in Kenya’s acclaimed Maasai Mara National Reserve. Although we have run special wildebeest migration safaris in August and September each year for the past decade we have had consistently good game viewing in the Mara at other times of the year as well. In fact we have on occasion felt that without the distractions of the migrating herds of wildebeest and the pressure we all feel to locate river crossings each day, the Mara can be at its best outside of the migration period. To this end we have scheduled three safaris in the Mara during February & March 2019. We will set up our exclusive private tented camp, accommodating a maximum of 12 guests. Acclaimed South African wildlife photographers and authors Daryl & Sharna Balfour will be on hand to offer insights into taking better photos of your safari-in-a-lifetime, while our resident naturalist guides, Pierre Burton , Andy Campbell or Phil West are among the best in East Africa and will ensure that your safari is both memorable and informative. The Mara is undoubtedly one of the best places in Africa to see and photograph the big cats – lion, leopard and cheetah – and we will spend much of our days tracking and photographing them. Our exclusive “mobile” private tented camp offering top quality catering from our experienced and qualified safari chefs, with nine tents accommodating a maximum of 12 guests, will be erected solely for the use of these safaris, at a secluded and private location in one of the best game viewing areas of the Maasai Mara. The camp will feature spacious walk-in safari tents with a choice of large queen-sized beds or comfy twins, each with private en-suite ablution facilities featuring a fully enclosed dressing room with washbasin and clothing racks, private HOT traditional safari showers in a fully enclosed attached cubicle and a flushing toilet for each tent, while meals will be taken under the stars or in a large, airy mess tent at truly spectacular linen-covered candle-lit tables set with fine china and stemware. We have endeavored to recreate the atmosphere of the original mobile hunting camps of the past with our camp, and this is the way Ernest Hemingway, Teddy Roosevelt, Sir Randolph Churchill and Robert Ruark experienced and wrote about Africa, (with many more modern luxury trimmings, of course) and it is the best way to avoid the over-crowded mass-market tourism of the bigger commercial lodges and safari hotels. We place a premium on the wildlife experience too, with our guides being among the best in the industry not only in finding and locating the game, but also sharing their knowledge about the country, its people and its wildlife. Our guides are all thoroughly experienced at ensuring you will have the best position and angle to optimize your photography and will offer advice any assistance whenever required. Your eventful and full days will be spent exploring this, the northernmost limits of the Mara-Serengeti ecosystem, seeking the area’s abundant wildlife – which at this time of the year should include the big cats for which the Mara is rightly famous as well as many other of the usual plains game species along with elephants, giraffe and Cape buffalo. Our guides will do their utmost to ensure you an experience of a lifetime.